B2L-CargoCare.com > News > B2L Cargocare > Can airlines bypass freight forwarders? Can airlines bypass freight forwarders? Speaking on condition of anonymity, the head of cargo at one carrier revealed to Air Cargo News that his company is taking steps to prepare for direct engagement with shippers. He pointed to a convergence of factors – chiefly a need for shippers to curtail costs and the evolution of tools that facilitate direct dealings with airlines – as the major drivers of this development. Ram Menen, the former head of cargo of Emirates, noted that the new IATA-FIATA Air Cargo Agreement is paving the way for this. The new regime, which redefines the relationship between the two sides from an agency constellation to a partnership of principals, is currently in the pilot phase in Canada, with full global implementation planned for next year, except in the US. “Now the airline is free to work directly with the shipper with no barriers, as they are the real principals,” he commented. Airlines have dismissed suggestions that they are interested in pursuing this avenue, reiterating their earlier statements that the forwarders are their customer. “The freight forwarders are our valued customers and will remain valued customers. If the market changes, then we will adjust, but I don’t see that happening yet,” declared Lufthansa Cargo boss Peter Gerber. The debate is not new, but it has been widely accepted so far that the airlines lack the wherewithal to deal directly with shippers. However, Menen does not see a fundamental obstacle. “If a shipper has the infrastructure and is prepared to comply with the rules of engagement, there is no reason why they can’t deal with the airlines directly. Folks like Siemens can very easily gear up and create an in-house set up and manage their own destiny,” he said. Technology has made it easier for shippers to have a go at this, the anonymous airline executive finds. “There are now tools in the market that would allow shippers to be as effective as a forwarder, which was not the case in our history,” he stated. 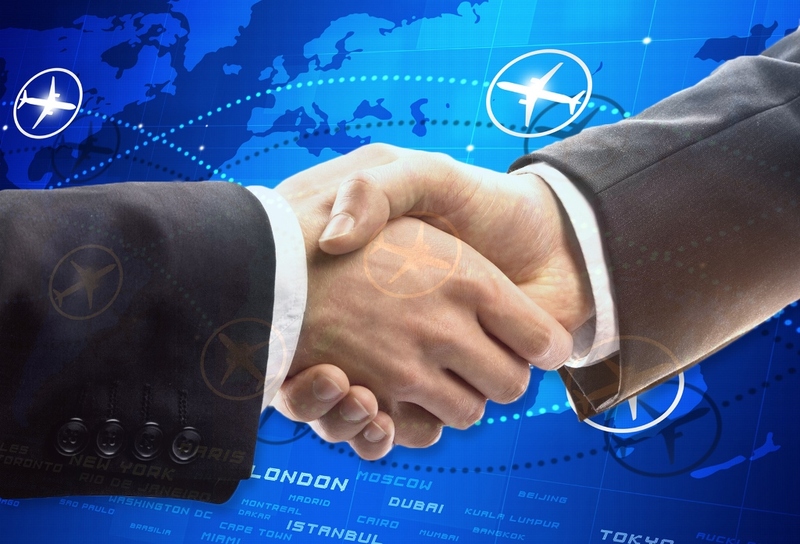 Digital intermediaries are eager to step in and facilitate an airline-shipper engagement. Having launched in South America, Gurucargo, an online platform from Uruguay, is poised to expand to the US market. Its site posts prices obtained from participating airlines and books space, which it sells on to shippers – like a forwarder, but the company claims that its model can reduce costs for shippers by up to 30%. Other services like customs clearance or warehousing are outsourced to third-party providers. Gurucargo claims to handle some 1.5m transactions a month, covering both air and ocean shipments. The anonymous carrier executive is considering putting out his airline’s prices. The current situation gives shippers and carrier no visibility into the spread on the forwarder side between buying and selling rates, he observed. “In a word, the worst possible situation for the buyer and provider. So, the dea I toy with is, should the airlines put their cargo rates out on the open market/internet? With the potential that when the customers see the difference between their buy rate and the airlines sell rate perhaps purchasing decisions are made differently,” he remarked, adding that this could create a level of transparency that the airlines have achieved on the passenger side. Contrary to initial misgivings, this has actually created stability, he added. Menen argued that the traditional forwarder business model of making a dollar off everybody they deal with has to change. “All charges for services should be transparent for efficiencies to kick in. “Transactions between the shippers and forwarders should be based on actual rates and the shippers must pay for the services rendered. This could be actual rate (transparent) plus percentage commission. “This way there won’t be any ambiguity. Shippers might want to deal directly with the carriers and pay cost of itemised services rendered to the forwarder,” he reflected. Brian Clancy, managing director of Logistics Capital & Strategy, does not see disintermediation happening. Shippers still need forwarders for cost-efficient pick-up and delivery and lower transportation costs thanks to consolidation, he noted. Moreover, shippers often use the same forwarder for multiple modes of transportation to lower costs, and an airline network is determined by the points it serves, he argues. The anonymous airline executive said that the benefit from consolidation is not readily visible. He thinks that shippers are going to be driven by the need to achieve lower distribution costs through reduced transportation spend, as they realise they have to compete with Amazon and Walmart. If this sounds inevitable, it is unclear where the impetus would come from, however. Jeff Cullen, chief executive of forwarder Rodair International, is not fazed by this. His strategy has been to develop closer ties – including systems integration and data management – with customers to build solutions-based relationships that allow both sides to make money. Menen does not see the freight forwarder disappearing, pointing to the vital role they play in managing the ground logistics, provided that they adapt to the changing environment. “Forwarders will have to move fast towards digitisation and automation, all while expanding value add services that help them differentiate their offering,” commented Schreiber.